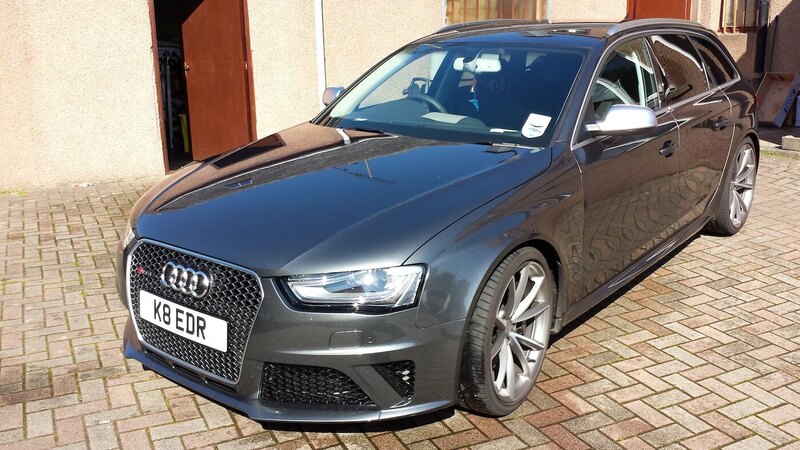 Police Scotland is appealing for information after an Audi RS4 was stolen from a property in Turriff. The grey vehicle – reg. number K8 EDR – was taken from the Meadowview Road area, with the owner last having seen it on Saturday July 22. It was discovered stolen on Tuesday July 25. Our investigation is at an early stage however through initial house-to-house enquiries we understand loud noises were heard in the area of the property in question during the early hours of Sunday July 23. On that basis I would urge anyone who heard or saw anything suspicious during this time to please get in touch – you may have information which could assist. Likewise I would urge anyone who sees this vehicle to contact Police as soon as possible, and anyone with dash-cam footage who may have been using the roads in and out of Turriff that night. A great deal of work goes on throughout North East Division on a daily basis to prevent this type of crime – crimes which can have devastating consequences for the victims financially and emotionally. It won’t be tolerated.